LE BLOG DE CHIEF DUNDEE: THE PRISONER 50th Anniversary Edition - Vol. 3 - A. B. 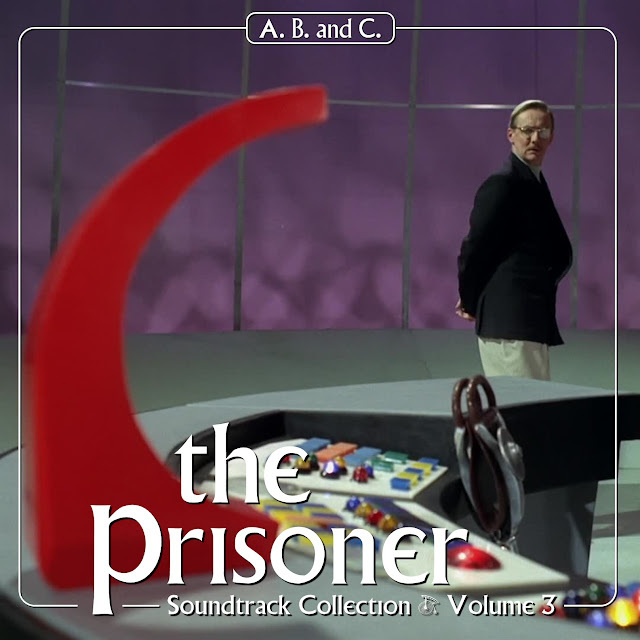 AND C.
THE PRISONER 50th Anniversary Edition - Vol. 3 - A. B. AND C.
This site is for promotional purposes only. If you feel any content should be removed, please contact me. 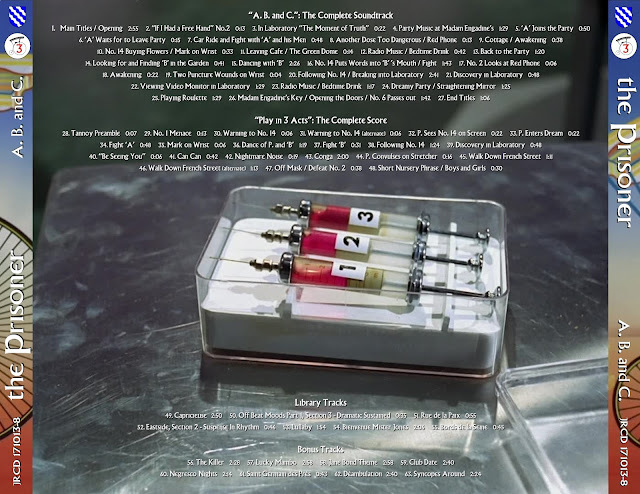 This blog is dedicated to suites, bootlegs, out of print and rare soundtracks. Please do not ask for CDs that are still available at a fairly reasonable price, especially if they're new releases! Such requests will be ignored. By purchasing new soundtracks, you will support the artists you love and the local music stores you don't want to see disappear. Bootlegs and promo CDs are not for sale. They're meant to be shared. Avoid any site which asks money for those. And a great thanks to all who have contributed so far: Globule, Raul, Deakins, Nash, Benuit, eda-88, Axel, Uga2, Douby, PM, Deadpool_09, AD, MAX2304, MiNT, Princes Valiant, Android, theodred27, Riddim1903, Scott57... (and all the people I forgot) ! (c) 2007-2019 Dundee Productions. All rights reserved. Fourni par Blogger.